Last week, before the inaugural flight, I was able to tour the plane and take some photos. 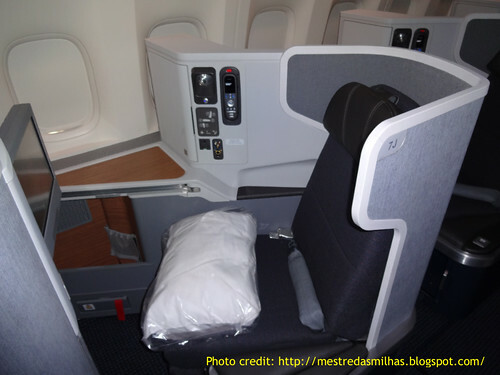 I thought I had several of the Business Class section, but when I looked through my photo library I realized that I didn’t have as many as I thought I did, so I borrowed a few from friend, and fellow blogger, Eloy of the Mestre des Milhas blog in Brazil. He was kind enough to contribute a few shots for today’s post. 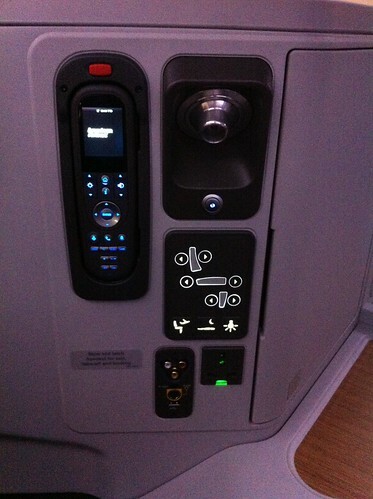 52 fully lie-flat Business Class seats, and each of them offers direct aisle access. 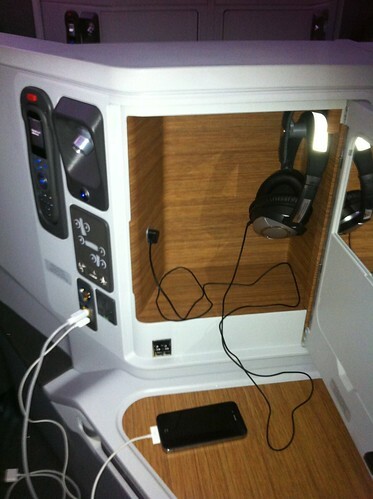 AC power outlets and USB ports at every seat. Another item worth sharing. Chris Sloan of The Airchive and The Travel Channel’s Airport 24/7 Miami has a great photo of the fully stocked walk up premium cabin snack bar. He also posted his complete trip report of the inaugural flight over the weekend (it’s even more detailed the the one I linked to on Friday), and it’s definitely worth checking out. Win 2,500 AAdvantage Miles – Monday’s Frugal Travel Guy Deal of the Day is Sponsored by AAdvantage. Go to his blog and share your favorite AAdvantage or American Airlines related travel tip for a chance to win 2,500 AAdvantage Miles! Win 1,000,000 AAdvantage Miles – Tomorrow is the last day to earn an entry in Share A Journey Sweepstakes. Enter for a chance to win 1,000,000 AAdvantage Miles! Is there a divider that goes up between the middle two seats? Thanks for the credits friend! Hope to see you soon! 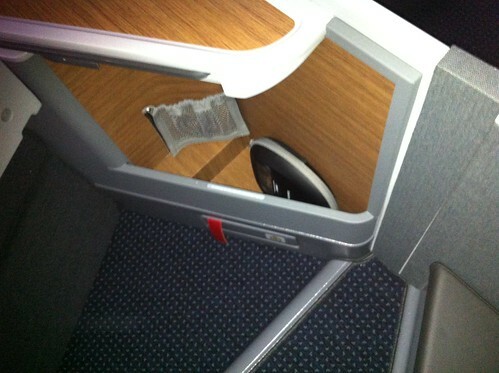 @ John777 – No divider between the two seats. The seats sit so far back that you don’t really need one. @ Chris – There’s no great option. Across the aisle and you have to get up each time you want to talk to your wife. If you sit in the middle section, it’s possible to lean all the way forward and then reach around the middle section to get her attention and then carry a conversation. That might be the best option. @ Eloy – Thanks for the photos! How will we know which flights have these seats? Im out of dfw and fly mostly to Europe. 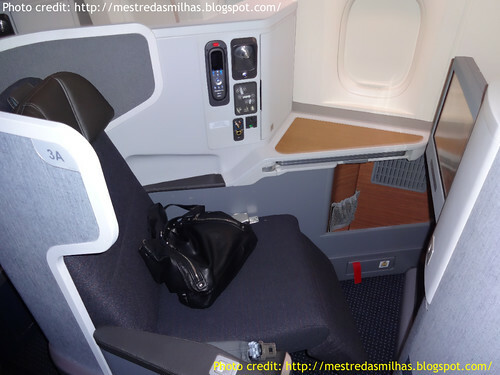 Are these seats identical to cathay business? Too bad the service wont be the same tho. 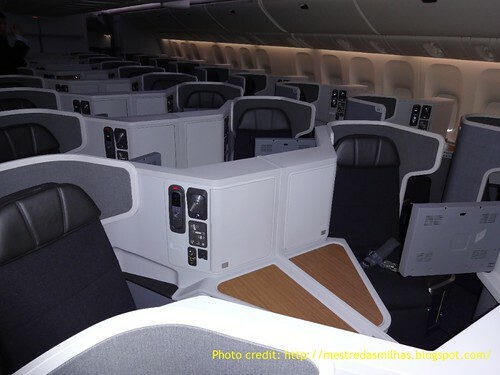 @ Siso – They are just starting to take delivery of the new 777-300ER. The first route to get them is DFW/GRU. 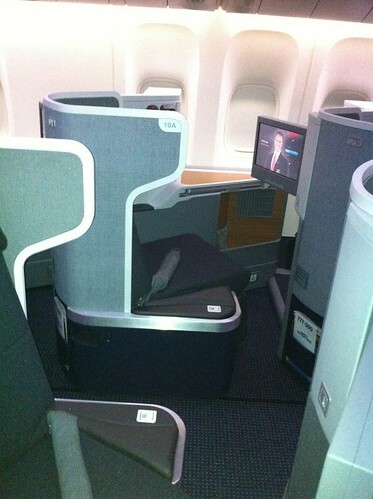 DFW/LHR is next, when AA50 and AA51 get upgraded in early March. 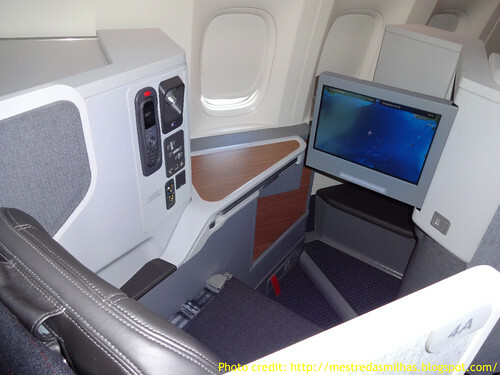 Look for more 777-300ERs to get added toward the middle of the year. The seats are the same as CX. When will they start flying out of dfw to europe with these seats? They seem identical to the cathay business. Too bad the service wont be the same . 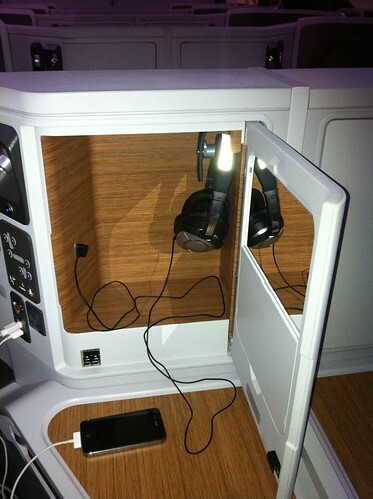 Love the storage and how the remote control is high up instead of low near the seat. Simple things like those make the actual seat more comfortable.